This title is suitable for ages 2 to 5 years. A favourite Bible song is presented in board book format for young children. Laura Logan's warm and engaging illustrations perfectly complement the words to this best-loved Bible song. Whether discovering the song for the first time or singing it for the hundredth time, here children will learn the eternal truth: Jesus loves us all! 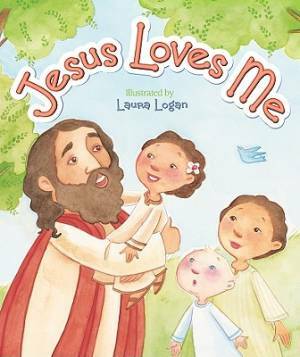 Jesus Loves Me by Laura Logan was published by Nova Publishing in February 2010 and is our 22065th best seller. The ISBN for Jesus Loves Me is 9780824918392. Be the first to review Jesus Loves Me! Got a question? No problem! Just click here to ask us about Jesus Loves Me.